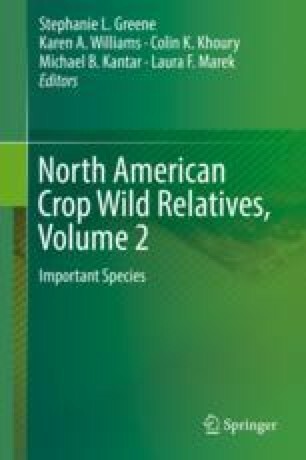 The pages of this extensive book document the potential of a great many North American plants to enhance the productivity, sustainability, and nutritional quality of crops or to be further developed into important cultivated species in their own right. But this potential can only be realized if the plants are adequately conserved to ensure their survival and availability for research, invested in to promote their development, and marketed so as to be attractive to producers and consumers. We outline some of the key steps needed to boost the conservation and use of our regional cornucopia. In situ and ex situ conservation of North America’s useful plants are being accomplished by a variety of institutions with different mandates, but habitat destruction and other threats to wild populations continue to negatively impact many species. Information sharing, coordinating efforts, filling research gaps for wild plants, and increasing support for conservation will be necessary to more comprehensively safeguard these plants and to make them available for use. Technologies enabling more efficient exploration of the diversity within these species are rapidly advancing and offer the potential to contribute to quick advances in improvement of cultivars, but considerable further research and partnerships are needed to generate and share the results widely. Marketing of new crops can take advantage of the increasing public interest in diverse and nutritious foods, learning from successful collaborations between producers, researchers, and consumers. As a whole, North America already possesses a strong foundation from which the conservation and use of its flora can be enhanced. This includes many protected areas, strong conservation institutions, innovative research, and the willingness to collaborate across fields, institutions, and borders. There are still many silos that need to be broken down and reorganized through innovative partnerships to better conserve and benefit from the North American cornucopia. But given the incredible diversity of interesting and useful plants in the region, the remarkable efforts for many decades by many organizations to care for these plants and share them with humanity, and the increasing public interest in more diverse, healthy, and resilient food and agricultural systems, there is reason for hope.